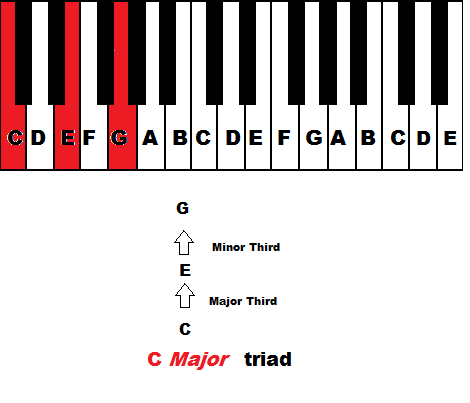 Triads are made up of major 3rd and minor 3rd intervals. 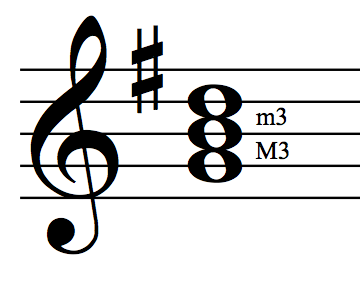 These two intervals are essentially the foundation of chord structures. 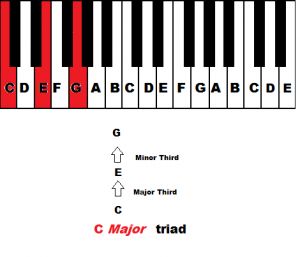 Creating a Major Triad – Put your finger on the bottom note of the chord (in this case a C) and for the second note count up 4 semitones (half steps), then for the last note count up 3 semitones (half steps). I encourage you to play out the notes so you can hear what the chords sound like. 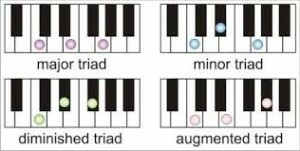 The first note of each triad is the name of the chord (e.g., F A C is an F major triad). 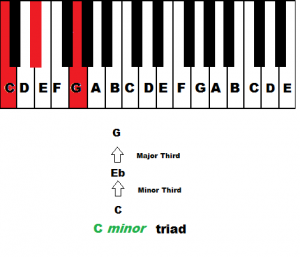 Creating a minor Triad – Put your finger on the bottom note of the chord (in this case a C) and for the second note count up 3 semitones (half steps), then for the last note count up 4 semitones (half steps). 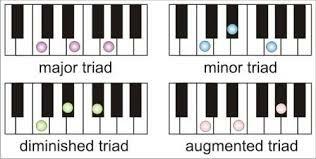 If you’re particularly observant, you might have noticed that 2 out of the 3 notes of a major and minor chord are the same. 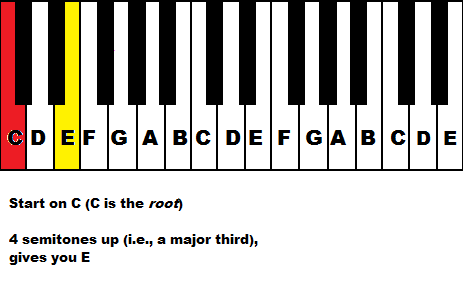 The root (in this case, C) and the fifth (G) are the same in both major and minor. 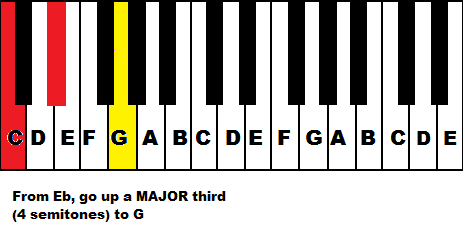 However, the third is E in a C major triad, but Eb in minor. 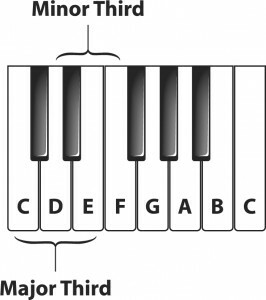 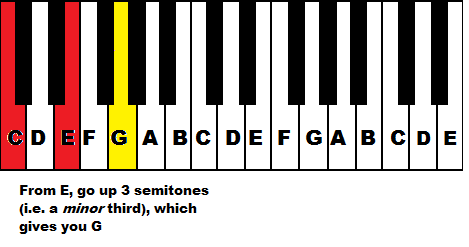 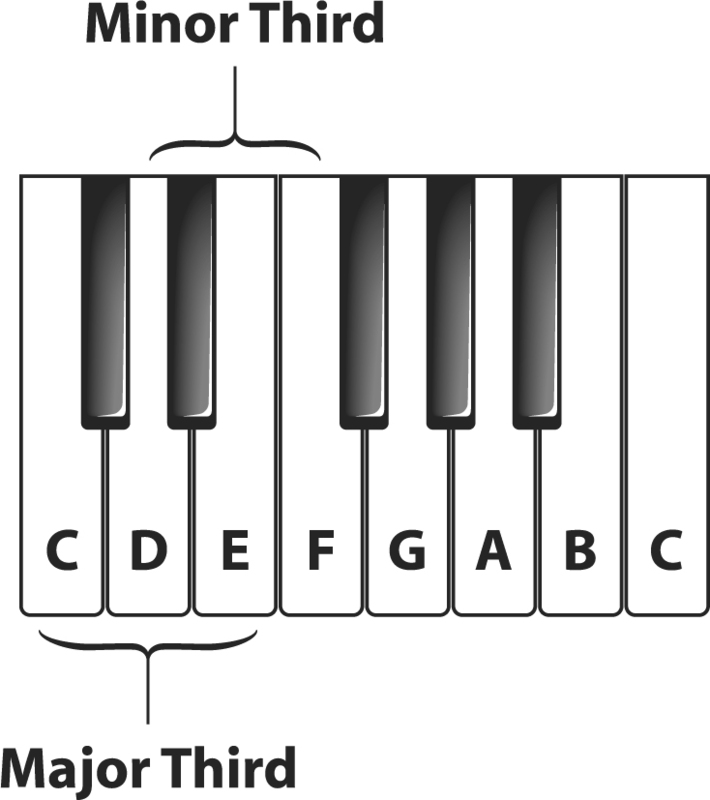 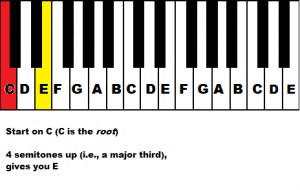 In other words, the third of a minor chord is one semitone lower than the third of a major. 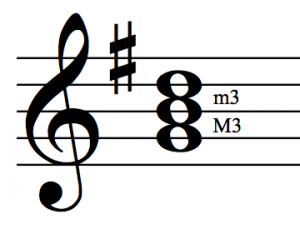 This little trick may help you remember minor chords more easily if you don’t want to go through the hassle of calculating those intervals every time.